Alvaro Bautista stamped his authority on the World Superbike championship with an utterly dominant display in Phillip Island; winning all three races. Onboard the factory Aruba Ducati, the 34 year old Spaniard secured victory in Sunday’s all new ten lap sprint race before annihilating the field again in the final 22 lap race. 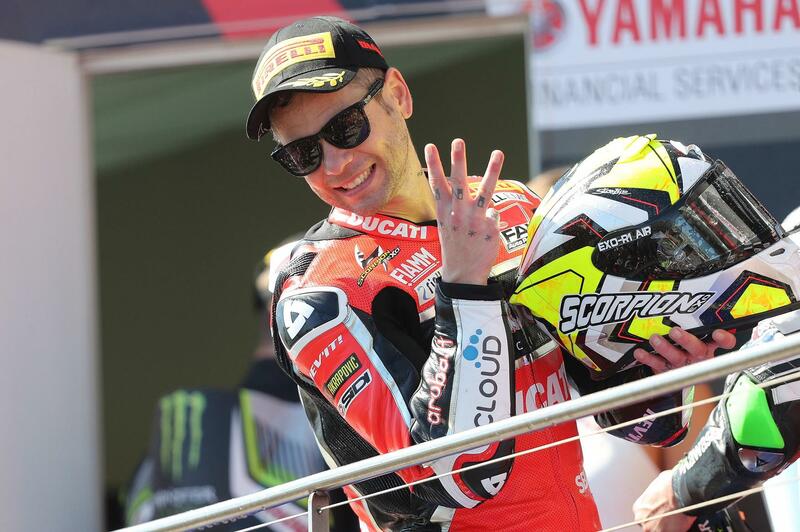 After three wins out of three, are Ducati and Alvaro Bautista going to run away with the WSB title? Onboard the all new V4 Panigale, the WSB rookie was in a class of his own and at one point had an 18 second lead over reigning champion Jonathan Rea. At the chequered flag Bautista crossed the line over 12 seconds clear having slowed down dramatically to celebrate with his team as he crossed the line. His Phillip Island masterclass has to be put down to his love of Phillip Island (he led last year’s MotoGP race before finishing fourth) the new V4 Ducati and his clear ability to make his rear Pirelli last, where others were clearly having to ride to make them last full race distance. Bautista said: “If you said to me before we came to Australia that we were going to have a weekend like this I wouldn’t believe you. We’ve worked really hard, especially during the two days of testing before the races and we were ready to fight. In what was a humbling day for the all conquering Rea and Kawasaki partnership, the 32 year old Brit still managed to bag three second places and a new circuit lap record. And while some pundits are already predicting the end of Rea reign, it’s well worth remembering that Rea has never been particularly strong at the Australian circuit and he will no doubt already be plotting his revenge at circuits where tyre life will not be a factor. It was a solid, if not spectacular day for Yamaha who were clearly the best of the rest after Bautista and the two Ducati, but simply unable to be in the fight for the podium. Chaz Davies ended the final race in sixth after clearly making a step with the new V4 Ducati. Currently unable to run anything close to the pace of his new team-mate, the Welshman has work to do, but should not be written off given his undoubted class. The next round of the World Superbike championship takes place in Thailand on 15 – 17 March. A track where Kawasaki have been strong, but a circuit that should suit the new Ducati due to its number of long straights.